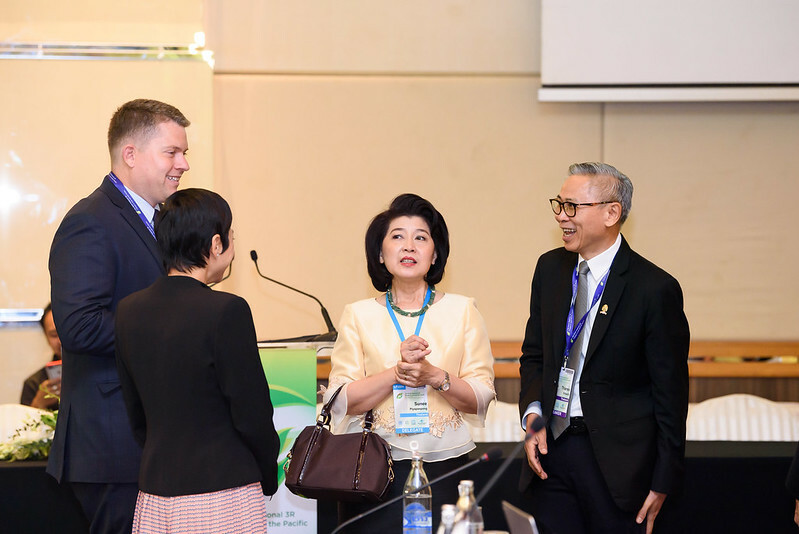 The Ninth Regional 3R Forum in Asia and the Pacific, 4-6 March, 2019, Bangkok, Thailand, was co-organized by the Ministry of Natural Resources and Environment (MoNRE), Thailand the Ministry of the Environment of the Government of Japan (MoEJ), and the United Nations Centre for Regional Development (UNCRD) of Division for Sustainable Development Goals (DSDG) / UN DESA under the overall theme of "3R as a way for moving towards sufficiency economy - Implications for SDGs". 9th Regional 3R Forum - Country Breakout Group-3 (Presentation) : Lao PDR. 9th Regional 3R Forum - Keynote Address (1) (Presentation) : Natural Resources and Environmental Management through Sufficiency Economy Philosophy ~ What can we contribute towards SDGs? 9th Regional 3R Forum - Plenary Session 3 (Presentation 4) : Lessons from Global Materials Resources Outlook to 2060 - What do they imply in the context of Circular Economy, Sufficiency Economy and SDGs?